What is a Mortgage Broker (Commercial) Bond in Arizona? A Mortgage Broker (Commercial) Bond is a type of license bond. The purpose of the bond is to protect the state or governmental entity for certain things, such as the payment of taxes. How Much does a Mortgage Broker (Commercial) Bond Cost in Arizona? How do I get a Mortgage Broker (Commercial) Bond? We make it easy to get a Mortgage Broker (Commercial) Bond in Arizona. Fill out the form above and we’ll get right on this for you. Then we’ll get the Mortgage Broker (Commercial) Bond right out to you. Easy. Use of permit bonds and license bonds is an important requirement of a lot of governmental bodies to organizations before starting their methods. The license and permit bonds help the government body to prove that a particular party or business will follow all the essential regulations set by the government with regard to operations. For this reason, it’s essential to get these bonds whenever a professional or any company or corporation determines to start its operation. 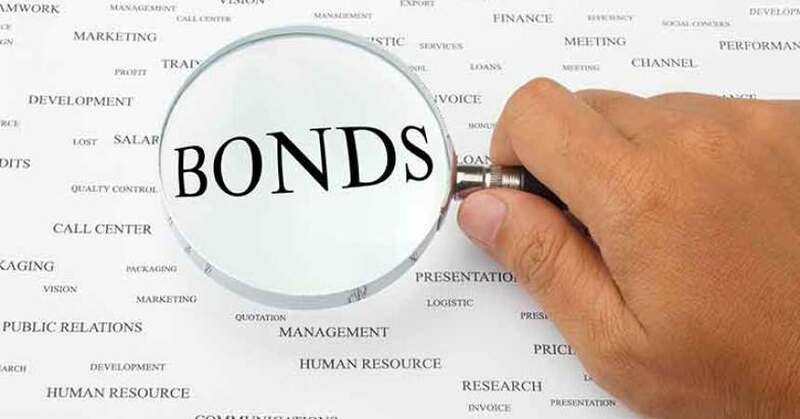 These bonds provide the government a guarantee that all governing rules set connected to their business or profession is effectively adhered to. These bonds also make it simpler for the government to determine any professional or business who failed to comply with the governing rules. This is why it is essential for any company or professional to acquire these bonds. If you’d like to understand how you can get a permit bond, here is a helpful guide for you. The following conversation clarifies about the important facts that relate to license and permit bonds. The most common kind of surety bond that you could need for your company is the permit surety bond. If you intend to begin a business in Kansas, you should know the regulations that govern that kind of business in that location. The government will also need assurance that you are not doing anything illegal with your company. In addition, you have to remember that your clientele can directly report to the government regarding the functions of your company. Should you fail to act as specified by the government, the client will sue your bond. In return, he or she will get settlement and you, alternatively, will face the law. Several kinds of bonds are under this certain kind of bond. For example, you will enjoy contractor license bond under this type of bond. Another type of surety bonds is the performance bond. This specific type of bond is appropriate for construction companies to ensure their clientele that their services and products are compliant to the laws. This insures the quality of the project as the contractor is instructed to meet all the demands of the project mentioned in the contract. The contractors must not fail to abide by the governing rules to avoid serious issues concerning the laws that cover this specific type of business methods. Should the contractor fail to deliver, the client can be able to obtain considerable amount of cash from the insuring company in which the contractor get the bond. In addition, the contractor can be swapped out for another. It is vitally important to get permit and license bonds. The government demands the use of bonds as a protection to customers who engaged in professional services and construction corporations. The consumer has the advantage of enjoying a systematic flow of work. In order to ensure that their business functions is reliable, all business specialists are instructed to follow the set of rules presented by the government. If not, the client has the right to sue the bond in order to get the settlement they deserve because of the contractors’ irresponsibility. The amount of insured portion of the project is indicated in the bond. In case the contractor defaults, the consumer may be able to recover this given amount. Consequently, bonds serve as the clients’ protection that their projects are insured. Also, the contractors are locked to this insurance. The government, or particular government bodies, will provide restrictions to different aspects of organizations and other services. For instance, the government can limit a construction of houses with more than two floors. The permit bonds might help you know the extent of the construction project that you may only provide to your clients. Following the right procedures in acquiring license and permit bond is the easiest way to obtain it. Listed below are the easy methods involved in the application for license and permit bond. Filling out the application form is the first step that you must do. You could find this online application form through an authorized issuing company that is highly recommended by many users. Before you can submit the application online, there can be a prompt asking you to verify the info you filled in each fields required. Aside from correctness and completeness, you also need to make sure the truthfulness of the info you put in the form. After you have submitted the application form, you will then get a quote stating the amount connected to the surety bond you’re applying. Remember, the quote is dependent upon the amount of the project you indicated in the application form. So make sure that your figures are correct. The quote only comes after you apply and your application is successful. After obtaining a quote, the next step will be the actual payment. Your payment allows you to get the license and permit bond. Don’t attempt to fabricate the info you are going to provide to the bond. It’s because doing so will simply result in difficulties, including legal action. Understand that the government is skeptic when it comes to legal documents. Also, you are going to need to give financial information associated to the bond, which makes it difficult for you to fake it. You’ll need to know the info about the license and permit bonds. The suggestions on this section will help you learn everything about the license and permit bonds. Generally, the amount of a performance bond will not be equivalent to the entire amount of the project cost. You are going to only be required to insure a particular proportion of the project, which is equivalent to considerable sum of money. As a matter of fact, the rate can be just as low as 1% even if the whole cost of the project you are insuring is about one million dollars. Another fact that you should know is that a bond is different from a business license. It’s only an assurance to the consumers you serve that the projects they’re venturing into with your service or products are insured. The bonds, therefore, increase the trust of your clients’ that you are going to supply the best possible result for the projects you involved with them. When planning to engage in construction projects, it is important to find out all the regulations of the government. Use the appropriate means to get what you will need for your company to thrive and obtain a license or permit. See our Arizona Motor Vehicle Certificate of Title Bond page here.